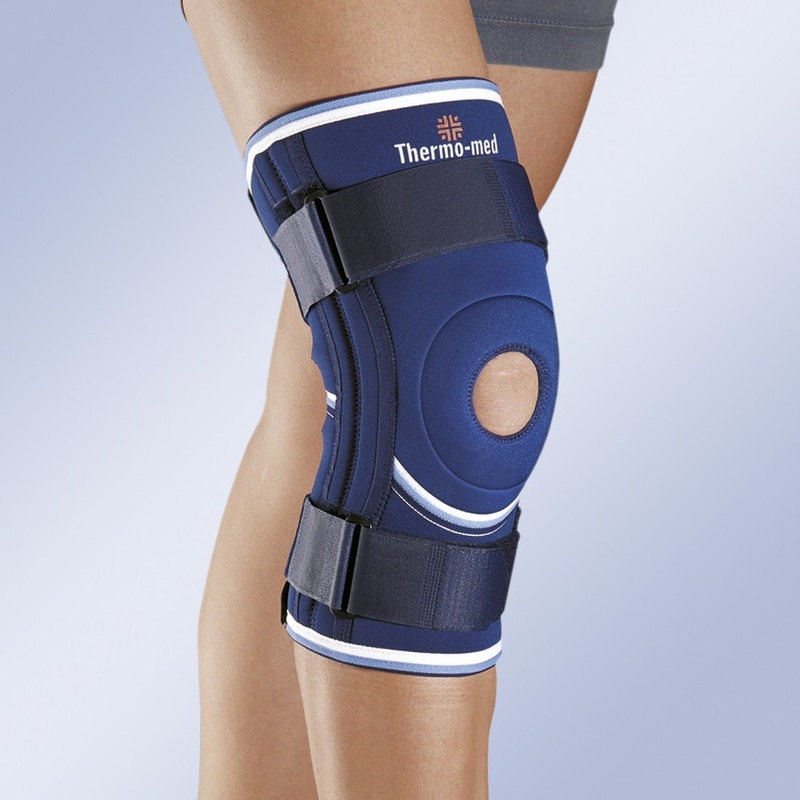 Neoprene knee support with flexible lateral stabilisers and upper and lower adjustment straps. Interchangeable patellar pad. Indications: Light contusions, Arthrosis and arthritis, Post-surgical treatments. Rehabilitation, Thermocompression, relief, protection, optimum stabilisation of the articulation, permanent centring of the kneecap. Size: S(34-36cm), M (36-38cm), L (38-41cm), XL (41-44cm), XXL (44-49cm). Knee joint circumference in cm.